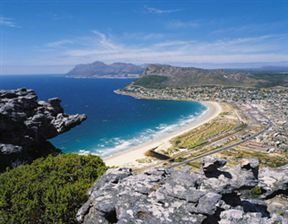 Fish Hoek Beach stretches for just over a mile at the head of a beautiful bay. 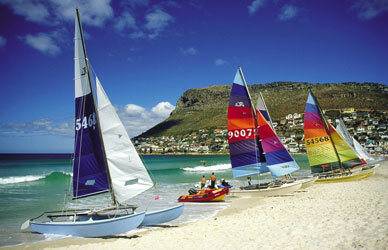 It's one of the most popular Cape Town beaches for families, and there is loads of space for them to spread out. The northern side, Clovelly, is usually relatively peaceful. Fish Hoek often has a nice little wave and it's very popular with swimmers and young surfers. From the southern end of the beach, another one of those great walkways hugs the southern end of the bay. It's a fabulous walk, especially in whale season, and there are some lovely tidal pools. 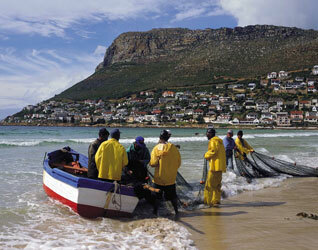 Fish Hoek Beach is 23.4km from the centre of Cape Town , the nearest airport 26km (Cape Town International Airport).